Conor has a diverse practice advising clients on transactional, corporate, regulatory and policy matters with particular experience in ship finance and maritime transactional matters. 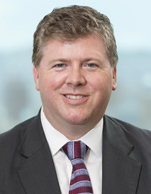 He represents companies, commercial lenders and investors in international financings, M&A and other corporate transactions across multiple industries and involving a broad range of corporate finance and investment issues, including senior and subordinated debt financings, asset-based lending transactions, and private equity investments. Conor also has significant experience in representing owners and operators of vessels and other maritime and offshore interests, primarily in regards to ship sale and purchase, finance and shipbuilding contracts; international and U.S.-specific regulatory compliance; offshore drilling contracts and regulatory matters; international sanctions regimes; pollution incident response and criminal prosecutions; and vessel charters and contracts of affreightment. Conor is admitted to the Maryland and District of Columbia bars in the United States, England & Wales, Hong Kong and the Republic of the Marshall Islands.